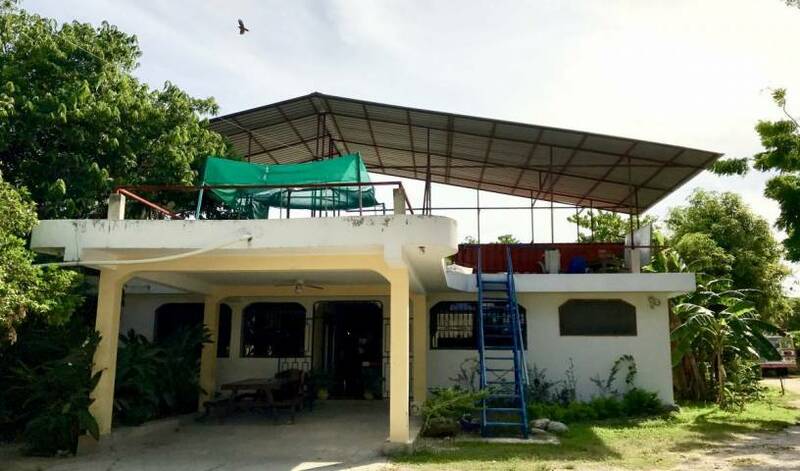 Mansion Dorothy is located in the project Jamaca de Dios, it is the most luxurious and comfortable place you and your family need, to run away from the bustle of the city life. SANA has 3 bedrooms. Master bedroom has queen bed/AC/fan/TV/radio/Ensuite bathroom/solar hot water/ Free wifi. The main floor has 2 bedrooms with 7 single beds/Fans/shared bathroom. There is a fully equipped kitchen and sala. Free wifi/BBQ/Fugon for preparing Sancocho. Meals available upon request through our cook Noemi. Arrange directly with her. Private room with private access and a double bed/ private ensuite bathroom/solar hot water/ AC /fan/TV/radio/mini fridge and access to a fully equipped kitchen and laundry room. Free Wifi. Cook available upon request. 8 bed mixed gender dorm style space. Fee includes: A light breakfast and dinner (Monday through Saturday), 24-hour security, unlimited clean drinking water, access to showers and restrooms, full use of Resource Center facilities, and wi-fi internet. Please read our guest policies before booking. Converted shipping container - 2 bunk bed room for 4 people, mixed gender dormitory. Perfect for groups as it has a meeting table and dry erase board. Fee includes: A light breakfast and dinner (Monday through Saturday), 24-hour security, unlimited clean drinking water, access to showers and restrooms, full use of Resource Center facilities, and wi-fi. Please read our guest policies before booking. The Green Room has a single bed with a mosquito net and fan. Fee includes: A light breakfast and dinner (Monday through Saturday), 24-hour security, unlimited clean drinking water, access to showers and restrooms, full use of Resource Center facilities, and wi-fi. Please read our guest policies before booking. Double bed with mosquito net and fan. Fee includes: A light breakfast and dinner (Monday through Saturday), 24-hour security, unlimited clean drinking water, access to showers and restrooms, full use of Resource Center facilities, and wi-fi internet. Double Occupancy: add $20. 00usd. Please read our guest policies before booking. Please make a note in the comments section of your reservation indicating if this is for 2 people. Thank you! The SuperAdobe: Our earthbag structure uses long sand bags filled with on-site earth and arranged in layers with strands of barbed wire placed between them to act as reinforcement. There is a double bed with a mosquito net and fan. 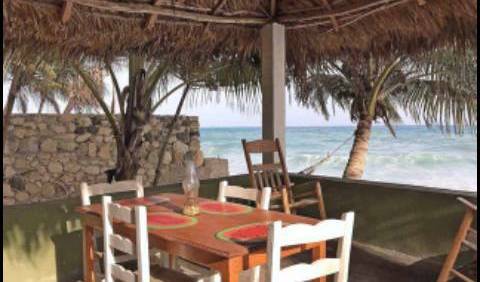 Fee includes: A light breakfast and dinner (Monday through Saturday), 24-hour security, unlimited clean drinking water, access to showers and restrooms, full use of facilities, and wi-fi internet. Double Occupancy: add $20. 00usd. Please read our guest policies before booking. Please make a note in the comments section of your reservation indicating if this is for 2 people. Thank you! 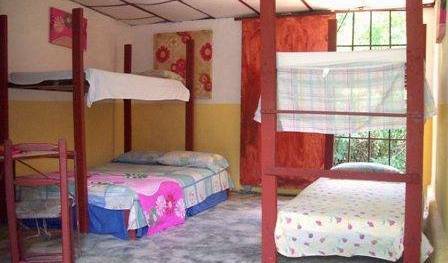 Two single beds with mosquito nets and fans. Fee includes: A light breakfast and dinner (Monday through Saturday), 24-hour security, unlimited clean drinking water, access to showers and restrooms, full use of Resource Center facilities, and wi-fi internet. Add $20 if double occupancy. Please read our guest policies before booking. Please make a note in the comments section of your reservation indicating if this is for 2 people. Thank you! This solar house is made of earth-filled tires, recycled plastic bottles and polyester boxes. It has a double bed with mosquito net and fan. The earthship comes with a private toilet. Fee includes: A light breakfast and dinner (Monday through Saturday), 24-hour security, unlimited clean drinking water, full use of Resource Center facilities, and wi-fi internet. Double Occupancy: add $20. 00usd. Please read our guest policies before booking. Please make a note in the comments section of your reservation indicating if this is for 2 people. Thank you! Converted shipping container - 2 single beds, with mosquito nets and fans. Fee includes: A light breakfast and dinner (Monday through Saturday), 24-hour security, unlimited clean drinking water, access to showers and restrooms, full use of Resource Center facilities, and wi-fi. Please read our guest policies before booking. Add $20 for double occupancy. Please make a note in the comments section of your reservation indicating if this is for 2 people. Thank you! The Silver Room: Converted shipping container with a double bed. Fee includes: A light breakfast and dinner (Monday through Saturday), 24-hour security, unlimited clean drinking water, access to showers and restrooms, full use of facilities, wi-fi internet. Single : $55. 00, Double: $75. Please read our guest policies before booking. Please make a note in the comments section of your reservation indicating if this is for 2 people. Thank you! The world's first house made of polystyrene trash. All beds have a mosquito net and fan. Fee includes: A light breakfast and dinner (Monday through Saturday), 24-hour security, unlimited clean drinking water, access to showers and restrooms, full use of facilities, and wi-fi. Please read our guest policies before booking. Please make a note in the comments section of your reservation indicating the number of people for the reservation. Thank you! This room with full size bed features a work desk, a closet and a table with chairs. It also has a balcony and a shared bathroom with a multi-jet shower panel. It includes access to a swimming pool, the living-room and to the american fridge. This spacious room with queen size bed features an orthopedic mattress of very good quality, a work desk and a table with chairs. Guests also enjoy free Wi-Fi, a walk-in closet and a balcony, while the shared bathroom offers a multi-jet shower panel. It includes access to the living room, to the american fridge and to the swimming pool. Apartments with 1 bedroom in the residence with the pool. Center of the resort of Sosua. Beaches, restaurants, the shops, all city infrastructure, - nearby. Are furnished completely, the equipped kitchen, the conditioner, are ready to accommodation. Rental villas with private pools in the villas and apartments. Rent 1 bedrooms in the villa with 4 bedrooms. Each bedroom can comfortably accommodate 2 people. Can provide children's beds and cots available on request. Large terraces with beautiful views, swimming pool 5m x10m. Garden with tropical palms and fruit at guests' disposal. Bananas, coconuts, and others. Large living room, American-style, fully equipped kitchen with breakfast bar and window to the terrace, dining room occupancy is possible in the home or on the terrace. The nearest town of Sosua residence villas. Open a large roof terrace (120 m2.) - For use under the observation deck, solarium, bar. Can offer a rental car HUMMER H2. 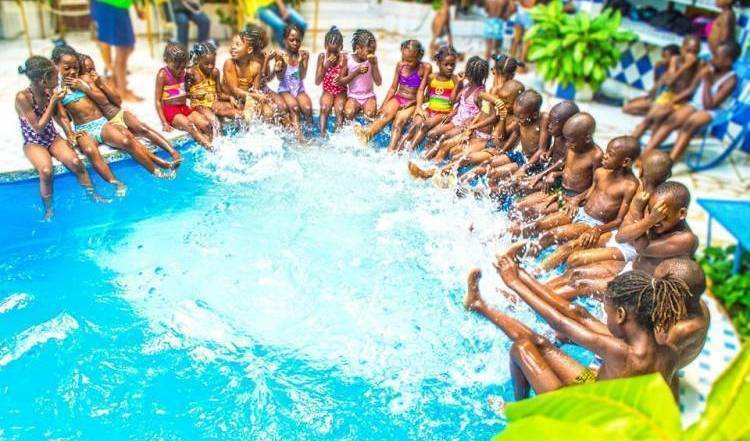 Daily cleaning of the house, garden and swimming pool are included with daily payment. Discounts for early booking and for long periods. 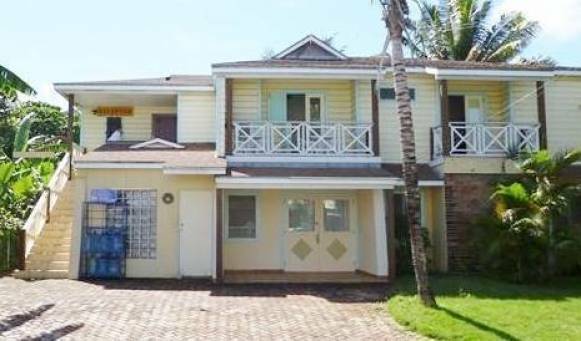 Rent 2 bedrooms in the villa with 4 bedrooms. Possible to rent a studio with a large terrace and a private toilet, apartments with two - three bedrooms and all the villas - with 4 bedrooms. Each bedroom can comfortably accommodate 4 people. Can provide children's beds and cots available on request. Large terraces with beautiful views, swimming pool 5m x10m. Garden with tropical palms and fruit at guests' disposal. Bananas, coconuts, and others. Large living room, American-style, fully equipped kitchen with breakfast bar and window to the terrace, dining room occupancy is possible in the home or on the terrace. 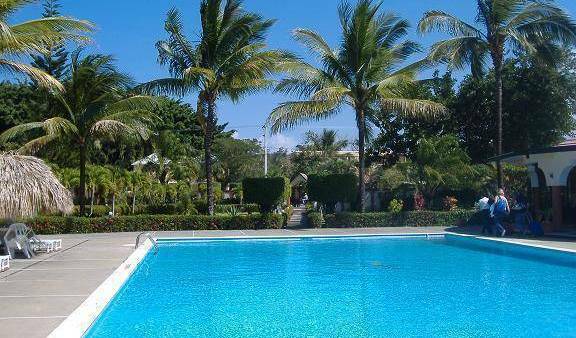 The nearest town of Sosua residence villas. Open a large roof terrace (120 m2.) - For use under the observation deck, solarium, bar. Can offer a rental car HUMMER H2. Daily cleaning of the house, garden and swimming pool are included with daily payment. Discounts for early booking and for long periods. Rent 3 bedrooms in the villa with 4 bedrooms. Possible to rent a studio with a large terrace and a private toilet, apartments with two - three bedrooms and all the villas - with 4 bedrooms. Each bedroom can comfortably accommodate 6 people. Can provide children's beds and cots available on request. Large terraces with beautiful views, swimming pool 5m x10m. Garden with tropical palms and fruit at guests' disposal. Bananas, coconuts, and others. Large living room, American-style, fully equipped kitchen with breakfast bar and window to the terrace, dining room occupancy is possible in the home or on the terrace. The nearest town of Sosua residence villas. Open a large roof terrace (120 m2.) - For use under the observation deck, solarium, bar. Can offer a rental car HUMMER H2. Daily cleaning of the house, garden and swimming pool are included with daily payment. Discounts for early booking and for long periods. We offer in rent a country house in the residence "Sosnovka"! Puerto's province payment. View of the ocean! 4 bedrooms, 3 bathrooms, big terraces, garage, pool 5х10. House of 450 sq. m., site 1000m2. To 8 people contains! Granting cribs on demand is possible! 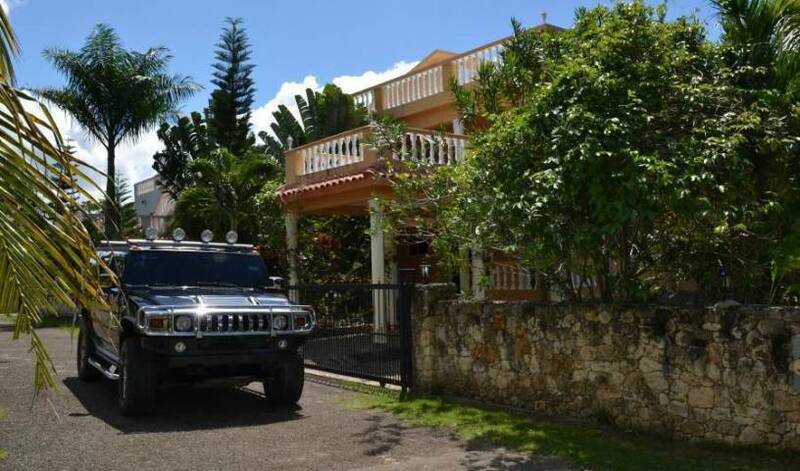 The residence next to the city of Sosua from country houses. Closed from the strangers, the protected territory. Supermarkets, kindergarten, the international school, beach, restaurants, policlinic - some minutes on foot. Open big terrace on a roof (120 sq. m. ) - for use under an observation deck, a sunbed, bar. Daily house cleaning, a garden and the pool are included in cost at daily and weekly payment. Big drawing room in the American style, the big pool. The Internet of wi-fi is included in cost. Protection 24 hours. When renting from a week or more, electricity is paid in addition, over the counter. 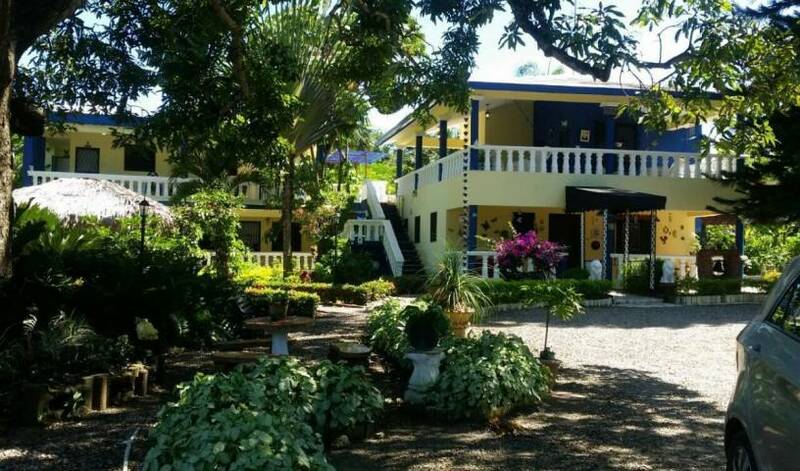 This large 4-bedroom villa features a spacious kitchen, a living room and large bathrooms. You will find a hot tub, large terraces and a private swimming pool with a garden filled with palm trees and peacocks. The roof terrace offers a 360 degree view of the ocean and surrounding mountains. A gardener and maid are included. The place to enjoy the Dominican lifestyle and to explore the beautiful coutryside. Ceiling Fan, wall safe, free wi-fi. Apartamento amueblado en Torre de 3 asensores, próximo a Casa de España, CAMINANDO 2minutos del parque mirador Sur, restaurantes, reposterias gurmet, heladerias, salon de belleza, farmacias 4 minutos para ver el mar. Es una apartamento elegante con 2 habitaciones para 1 solo bano, en cada habitacion tiene 1 cama doble para 2 personas haciendo un total de 4 peronas por solamente $100 dolares . Confort room: 1 queen size bed US40 per night The Confort rooms feature a Queen size bed facing one of our hall include utilities that make your stay comfortable. The luxurious pillow-top bed withpremium bedding is designed to give you a good night’s rest. Indul ge in the private bathroom that comes complete with a shower, bathrobes, designer toiletries, and complimentary toiletries. You can easily stay connected at any time using our complimentary wireless Internet access. The room is also outfitted with LED TV that offers premium TV channels. A minibar takes care of your immediate beverage needs. Our other conveniences include individual climate control and air conditioning that provides you optimum comfort, and a safe for keeping your valuables secure. Though such rooms are generally ‘Non-Smoking’, smoking rooms are available on request. Esta habitacion cuenta con una cama matrimonial decorada con cortinas, dos mesas de noche con lampara luz calida y romantica, amplio closet, tabla de planchar, plancha, secador de pelo, plasma TV 32, tv por cable, minibar con una champan dos botellas de agua y gaseosa, decoracion con petalos a la llegada, caja fuerte, bano con agua fria y caliente, este bano moderno con ducha y regadera. Superior Rooms: 1 queen size bed US$45 per nights The Superior rooms feature a Queen size bed facing one of our hall include utilities that make your stay comfortable. The luxurious pillow-top bed with premium bedding is designed to give you a good night’s rest. Indul ge in the private bathroom that comes complete with a shower, bathrobes, designer toiletries, and complimentary toiletries. You can easily stay connected at any time using our complimentary wireless Internet access. The room is also outfitted with LED TV that offers premium TV channels. A minibar takes care of your immediate beverage needs. Our other conveniences include individual climate control and air conditioning that provides you optimum comfort, and a safe for keeping your valuables secure. Though such rooms are generally ‘Non-Smoking’, smoking rooms are available on request. 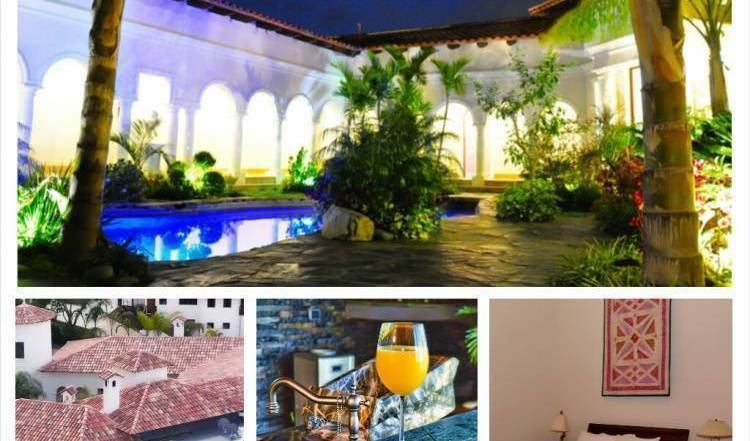 Este hotel boutique de estilo colonial se encuentra en el Centro histórico de Santo Domingo, a sólo 95 metros del paseo marítimo Avenida El Melecon o Av. George Washington y 5 minutos a pie de numerosos museos e iglesias, así como la Fortaleza, mientras que el Aeropuerto Internacional de Las Américas está a 28 km. Puerto Malecón hotel boutique ofrece habitaciones elegantes con aire acondicionado e internet Wi-Fi. Todas las habitaciones disponen de 1 o 2 camas dobles, TV de pantalla plana con tele cable, caja fuerte y baño privado. Algunas tienen meveras. Puerto Malecón hotel boutique cuenta con un Lobby bar con bebidas nacionales e internacionales, un pequeña area para desayunos y una encantadora terraza en el techo, recepción 24 horas y servicio de lavandería. Executive Suites: 2 bedrooms Apartment with one queen size bed on each bedrooms and full size sofa bed, The Executive Suites 2 bedrooms Apartment feature 2 bedrooms each one with a Queen size bed plus sofe bed, bathroom, living room, dinner room, kitchen and nice size of balcony. it include utilities that make your stay comfortable. The premium bedding is designed to give you a good night’s rest. privete bathroom that comes complete with a shower, toiletries, closet. You can easily stay connected at any time using our complimentary wireless Internet access. The apartment is also outfitted with LED TV that offers premium TV channels. Our other conveniences include individual climate control and air conditioning that provides you optimum comfort, and a safe for keeping your valuables secure. Standard Room with one queen bed The budget rooms come with a Queen size bed and are for travelers who only need a small room but one that has all the comforts as in our Puerto Malecon Classic room. Our budget rooms include utilities that make your stay comfortable. The premium bedding is designed to give you a good night’s rest. Indulge in the private bathroom that comes complete with a shower, toiletries. You can easily stay connected at any time using our complimentary wireless Internet access. The room is also outfitted with LED TV that offers premium TV channels. Our other conveniences include individual climate control and air conditioning that provides you optimum comfort. These rooms are Non-Smoking. Deluxe Room: 2 queen size bed The Superior Plus rooms feature 2 Queen size bed facing one of our hall include utilities that make your stay comfortable. The premium bedding is designed to give you a good night’s rest. privete bathroom that comes complete with a shower, toiletries, and walking closet. You can easily stay connected at any time using our complimentary wireless Internet access. The room is also outfitted with LED TV that offers premium TV channels. Our other conveniences include individual climate control and air conditioning that provides you optimum comfort, and a safe for keeping your valuables secure. US$ 33. 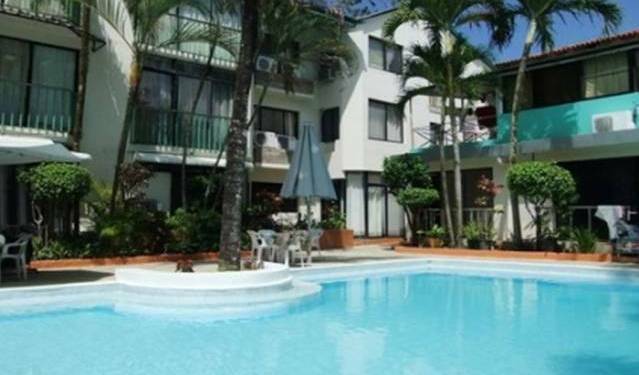 00 Day / Room hline250x6 *With breakfast for two people US$43. 00 To stay for more than a week: on request To stay for a month or more: on request Furniture Room Cable Television WiFi Internet Refrigerator Fan Daily Cleaning Linen Towels Free Coffee in the morning Stapelbed Private Bathroom Water heater At the reception you can pay cash in U. S. dollars, Euros or Dominican Pesos. We accept credit cards.